In a number of television shows and movies, the bail bondsman is often portrayed as another bad guy. But that’s just not the way it is in the real world. 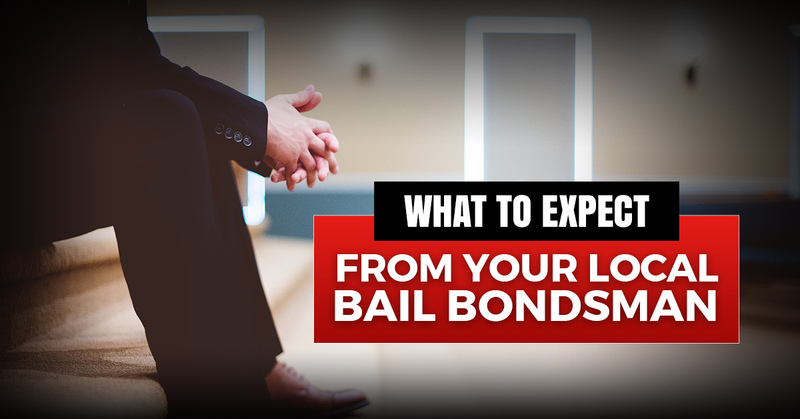 Sure, depending on the situation, you may be paying the bondsman a large sum of money to bail out your loved one from jail. Our team at ABC Bail Bonds believes the transaction shouldn’t completely revolve around finances, though. The fact is that you should have high expectations for your bondsman. Keep reading to learn what to expect from your local bail bondsman. Communication – Many people who reach out to us have no previous experience dealing with a bondsman. That’s not a problem at all with us. We put communication at the top of our priority list. Whereas other bail bond companies rarely give clients the time of day, we make sure that you fully understand the situation and what steps need to be taken. Please don’t hesitate to come to us with any questions you may have. Transparency – It does no good to keep something important from our clients. If there’s a pressing issue with your loved one, we will tell you in a way that’s respectful and discrete. A bail bondsman who isn’t transparent undoubtedly puts their clients in an incredibly difficult spot. Efficiency – The best bail bondsmen get their clients out of jail as quickly as possible. Rest assured that we are licensed and thoroughly trained, meaning we can act swiftly. When you come to us, or bail bond agents work diligently to expedite the process without cutting corners. Competency – You don’t have time to struggle with a bondsman who doesn’t know what they’re doing. A bail bonds agent must have the ability to stay calm when a client is frantic and uncertain. ABC Bail Bond Agency is a third generation business with over five decades of experience. We ensure the highest quality of service thanks to a combination of longevity and a highly trained staff. Very few circumstances surprise us in this industry. We are more than competent to handle your situation. Flexibility – We know it’s not easy to come up with hard assets in difficult times. That’s why our agents are creative and flexible. We offer easy payment plans so that a slip-up with your loved one doesn’t break the bank. We also accept all major credit cards and checks for your convenience. ABC is also the preferred choice for 24/7 bail bonds. You shouldn’t have to settle for a mediocre agency. Call ABC for the emergency bail bond you need.